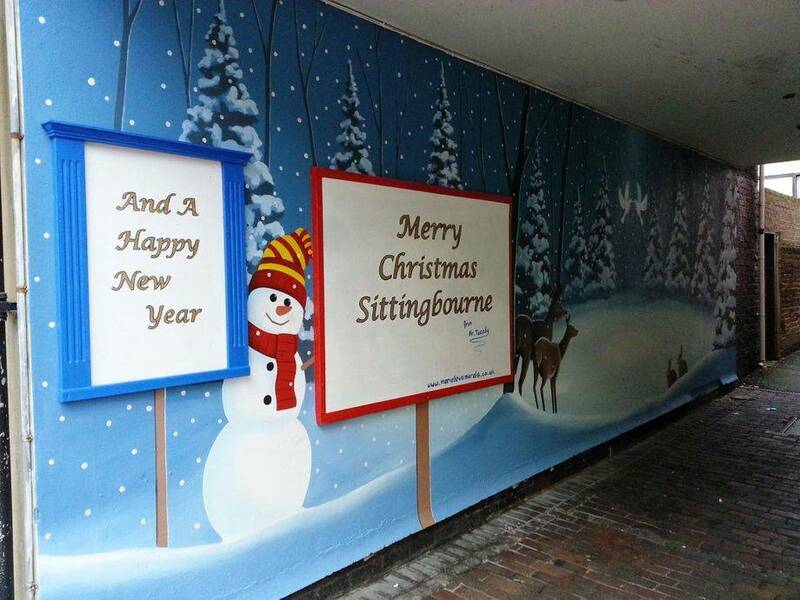 This is our little present to the people of Sittingbourne. I have had great fun painting this and chatting to all the fabulous folk that stop and comment. 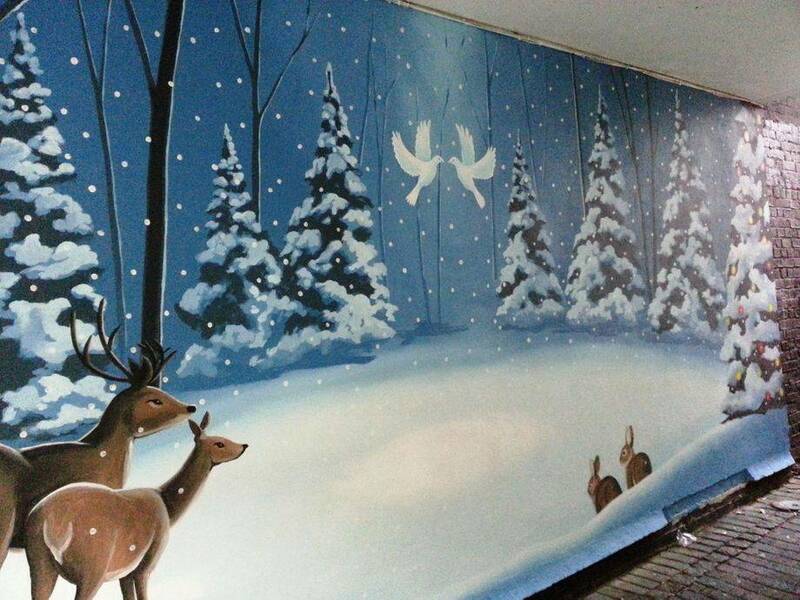 It's taken 16 hours to complete which we did in our spare time using left over paint so it hasn't cost anybody a thing. 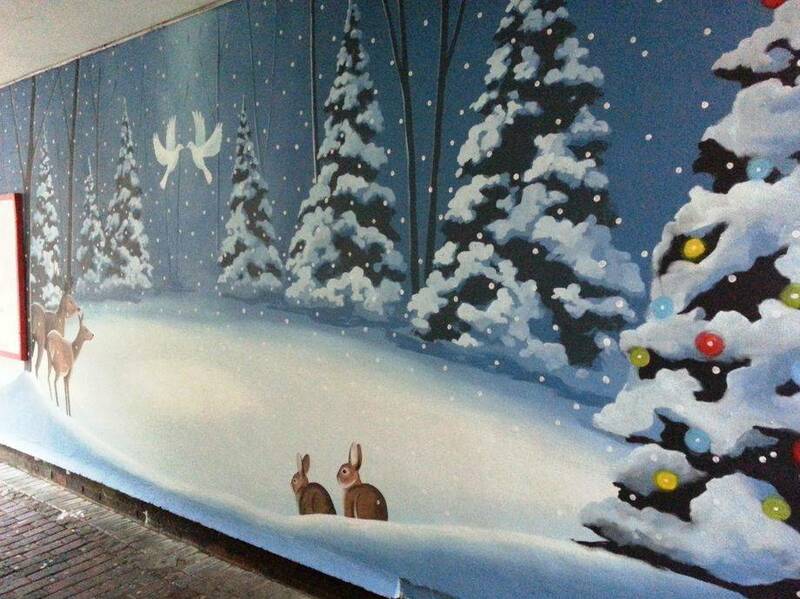 It will all be painted over with a permanent mural in January so get down and see it while you can!